The annual town meeting warrant had 42 articles. 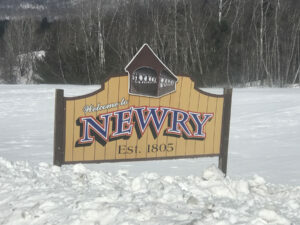 NEWRY — All but one article on the 2019 town meeting warrant got unanimous approval Tuesday night. Dave Bartlett opposed spending $85,178 for Fire Department maintenance, which is nearly $15,000 more than last year. He asked what the money covers. “It pays for salaries, stipends, equipment,” Town Administrator Amy Bernard said. The department also budgeted just under $12,000 for equipment, $30,735 for operations, $1,000 for training, $2,000 for gas and $9,500 for electricity for each building, she said. Other amounts approved by voters were $205,000 for capital improvements, $192,470 for highways and bridges, and $10,500 for cemetery maintenance. Just under 30 people attended the meeting.